Finewater Gems offers fine colored gemstones to discerning gemstone collectors and jewelry artists. Most of the gemstones presented here were cut myself, where high quality rough gemstones are hand-selected for color and clarity, timeless designs are chosen that will optimize their beauty and long-term value, and each facet is meticulously cut and polished to a flawless finish. Sometimes gemstones are purchased as poorly cut stones and recut; other times nicely cut stones are left as is because they already meet our high standards. A beautiful gemstone took millions of years to be formed in the earth and arrive in our hands, so we do not rush the process or lower our exacting cutting standards - unlike the "time is money" attitude of many others. 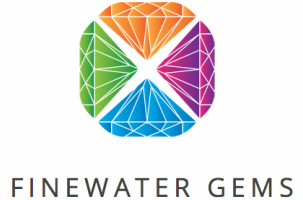 We take immense pride in all of our gemstones, and happily accept the amount of time necessary to unleash the unique beauty and character of each and every Finewater gemstone. We have traveled extensively around the world to buy at gemstone sources and trading centers. Our travels have taken us to Thailand, Myanmar (Burma), Cambodia, Sri Lanka, China, Singapore, India, Vietnam, Nepal, Kenya, Tanzania, Namibia, Zambia, Botswana, South Africa, Germany, Brazil, Colombia, Australia and many other countries on all seven continents. To ensure that our photographs closely resembles the actual gemstone, we've designed and built a custom photography studio that incorporates color-calibrated cameras, lighting, and monitors to ensure the best color accuracy and resolution. The amount of work that goes into providing high-quality photographs is not insignificant, but the extra efforts show the detail that goes into a Finewater gemstone. We believe in full transparency, so we openly display all of our gemstone characteristics, treatments and prices to everyone. It's important to us that you be 100% thrilled with your gemstone, therefore we offer a liberal return policy in the unlikely event that it does not meet your expectations. Please use the form on the "Contact Us" page to subscribe to our new gemstone newsletter, where subscribers get advance notice of new Finewater gemstone offerings and special promotions. Thanks for your interest, and please feel free to contact us with any questions that you may have.